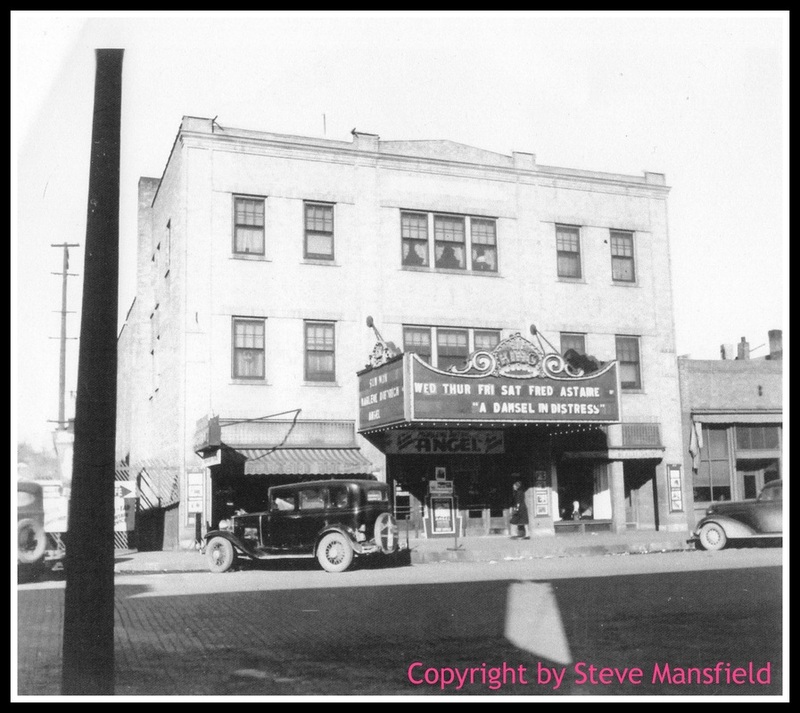 Originally, the theater had 550 seats on the main floor and 200 in the balcony, for a total of 750. In 1999, rocking seats were installed. Today, the total capacity is 500. Milton operated the King Theatre until 1959, retiring at the age of 90. Roy and Jeanne, who met while working at the theater in the late 30s as manager and ticket seller respectively, took over the theater in 1960. Their son Steve has owned the theater since 2000. 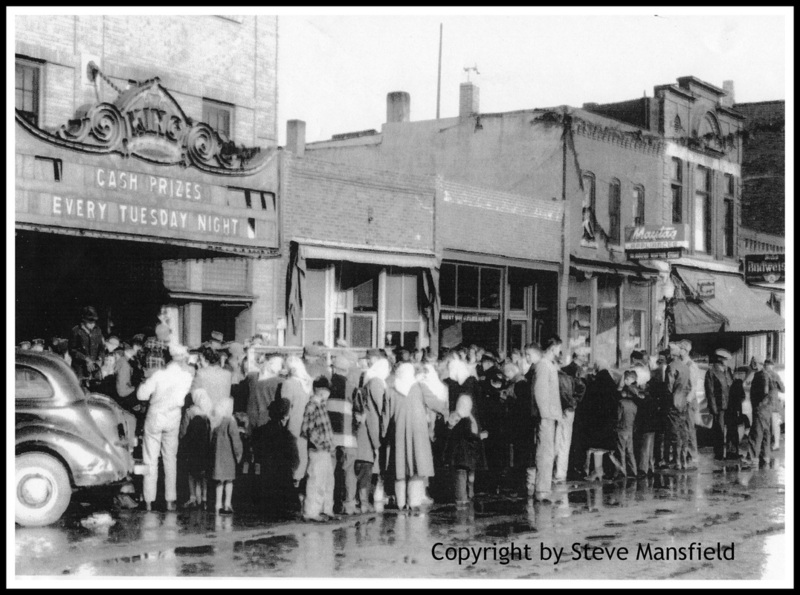 Exact date unknown, but the sign Cash Prizes Every Tuesday Night, indicates the 1930s when films changed 4 times a week, with westerns on Saturday and bank night (a popular lottery game franchise during the Great Depression) on Tuesday. The marquee pictured here was replaced in the 1950s. 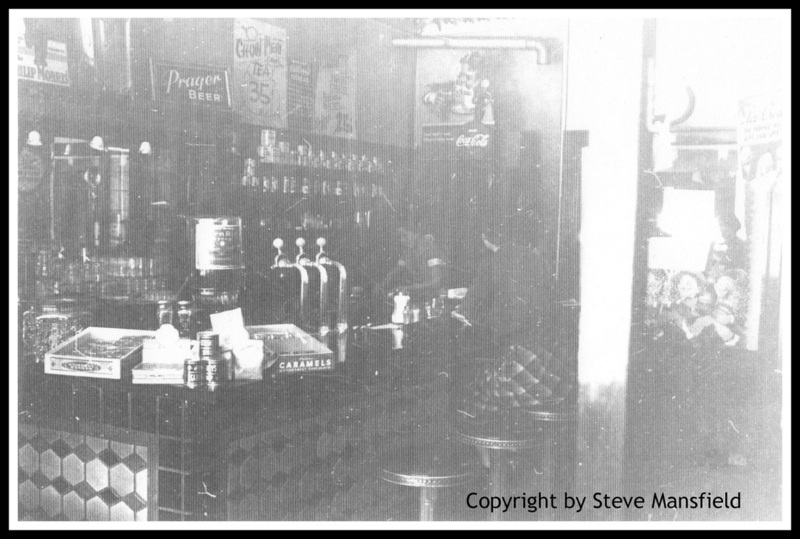 The grill, located in the west store front, opened in the 1930s and closed in the 40s. After the Black Bird Grill closed, a barber shop and several beauty shops would occupy the space. The space is now used as storage for the theater's concession stand. Patrons could purchase a plate lunch or an evening dinner (both with meat, potatoes, vegetable salad, and bread) for 35 cents. 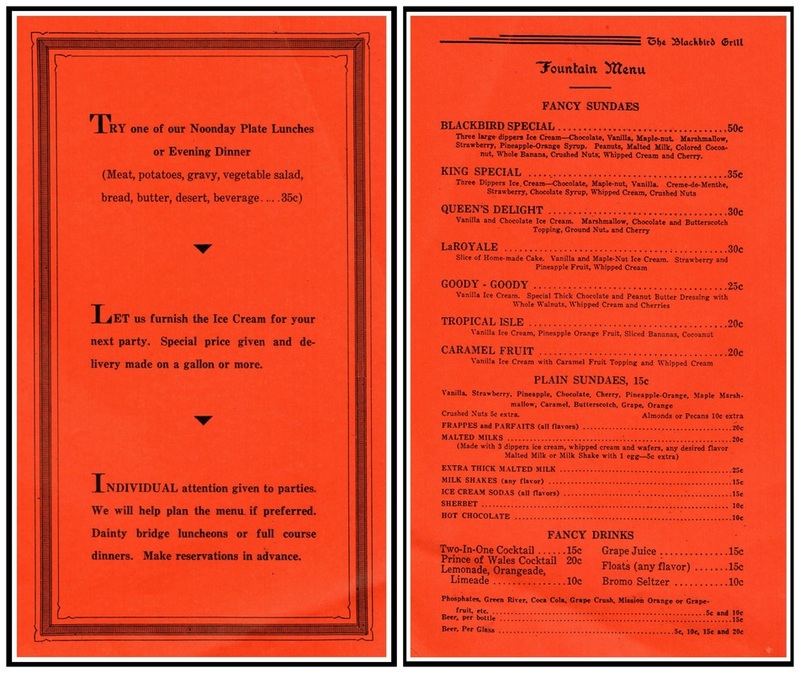 The fountain menu ( left) shows the variety of ice cream treats and sodas available--from Fancy Sundaes to Fancy Drinks. Hungry patrons could purchase lunch and a dessert and have change left over from their dollar. The sign is from an unknown theater that went from showing silent films to showing talkies after adding sound. ​The original projection used in the King Theatre was a carbon-arc, two projector 35mm system. In 1978, a xenon single projector automated platter system was installed. A digital projection system was installed in 2012, replacing the 35 mm film format. In the early 1960's, speakers were placed on top of a car and driven around to nearby towns to advertise movies. 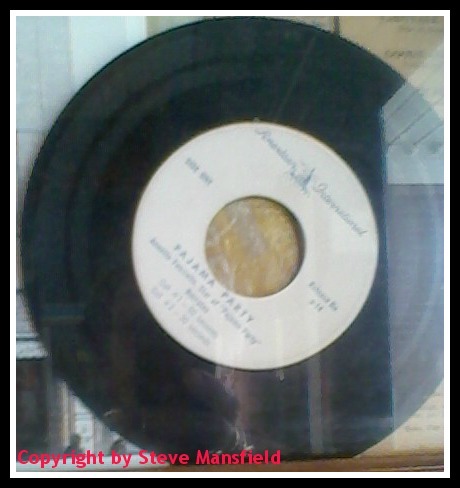 A record player and microphone inside the car were used to announce the movie and play dates. 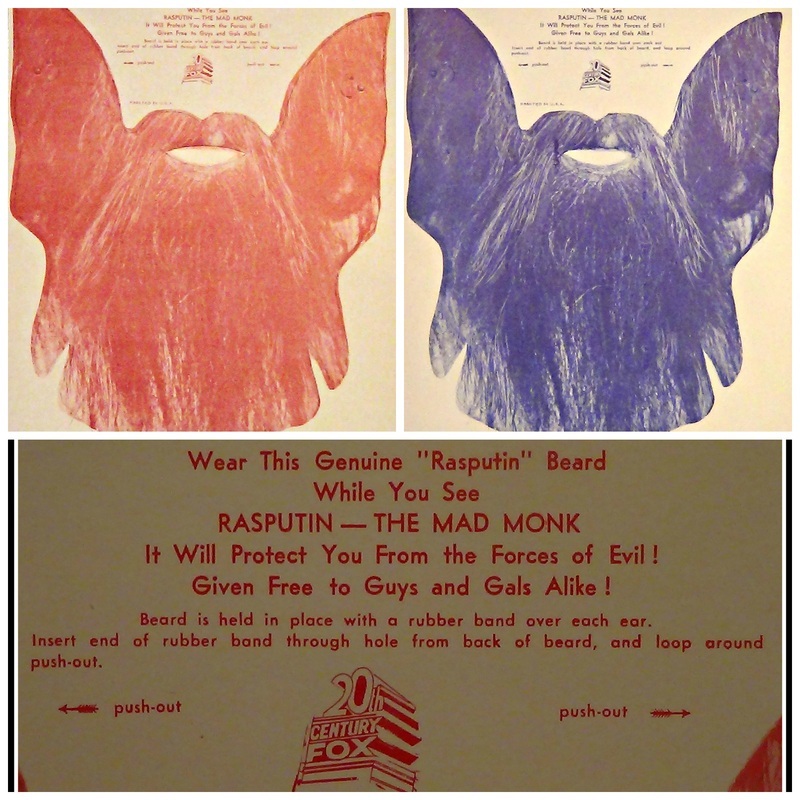 Guys and gals who attended the movie "Rasputin--The Mad Monk" received paper beards. Guys received blue beards and gals received pink beards. Instructions for wearing the beard are printed on the paper form. 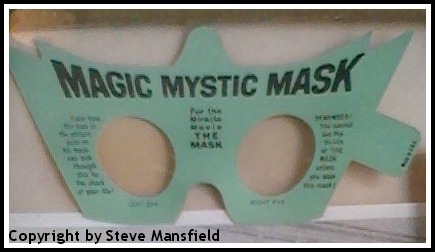 The mask was handed to moviegoers who came to see the movie "The Mask." The hero of the movie wore glasses that were similar to the mask. Each time he put on his glasses, audience members were to put on their masks. The masks allowed the wearers to see a ghost. 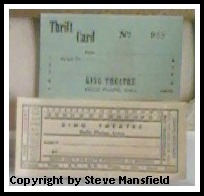 King Theatre patrons were given Thrift Cards. The cards were kept at the theater, and each time patrons came to see a movie their cards were punched. After seeing 9 movies, their 10th movie was free. Moviegoers to the 1970 movie received these paper glasses. The glasses popped out of the paper frame, and the wearers kept the sunshine out and let the funshine in!